Microsoft Office 365 is a cloud-based service that is designed to help meet your organization’s needs for robust security, reliability, and user productivity. 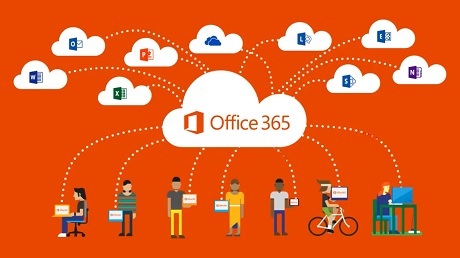 Office 365 is delivered to users through the cloud and includes Exchange Online for email, SharePoint Online for collaboration, Lync Online for unified communications, and a suite of Office Web Apps, Web-based versions of the traditional Microsoft Office suite of applications. Microsoft 365 is part of Microsoft's Software Plus Services strategy, combining the advantages of cloud-based remote computing software options with the company’s traditional base of on-premises software offerings. One advantage of Office 365 is that it is regularly updated approximately every 90 days and users are not required to pay upgrade fees. The plans are suitable for small to medium sized businesses that need to use Exchange and Office 365. The maximum number of users is 300 users. Best for businesses that need Office applications plus cloud file storage and sharing. Business email not included. Best for businesses that need business email, Office applications, and other business services. Best for businesses that need business email and other business services. Office applications not included. The plans are suitable for businesses that only need to use Exchange and they don't need to use Office 365. Secure and reliable business-class email with a 50 GB mailbox per user. Includes all the features of Exchange Online Plan 1, plus unlimited storage, hosted voicemail, and data loss prevention. The plans are suitable for large sized businesses that need to use Exchange and Office 365. There is no limit on the maximum number of users. Business services—email, file storage and sharing, Office Online, meetings and IM, and more. Office applications not included. All the features of Office 365 ProPlus and Office 365 Enterprise E1 plus security and compliance tools, such as legal hold, data loss prevention, and more. All the features of Office 365 Enterprise E3 plus advanced security, analytics, and voice capabilities. The plans are suitable for schools and universities that need to use Exchange and Office 365. Full access to the Office desktop apps, and additional management and security tools. All the features in A3 plus Microsoft’s best-in-class intelligent security management, advanced compliance, and analytics systems. Why MDSC1 is your one stop Window for Office 365? MDSC1 an Office 365 deployment and migration pro. It is a one stop provider of Microsoft Office 365 in UAE and across the world. It has been helping customers move their businesses to the cloud for a long time now because cloud provides them increased availability, innumerable benefits, reduce total cost of ownership and freedom from hardware, storage and network maintenance hassles. • Assesment - On premise assessment for messaging systems, either Microsoft Exchange or any other messaging solution. Also remedy checks, health checks and fixes for on premise environment are conducted as a regular procedure before migration. We determine the best possible route to migrate our customers to the cloud to provide them with the best possible experience for their mission critical services. • Deployment - Deployment for Microsoft Directory Synchronization Engine and Azure ADSync, Deployment for ADFS Active directory federation services in order to provide seamless login for users (SSO), Office 365 Cloud PBX deployment, and Lync online deployment. • Migration - Office 365 cutover migration model and Office 365 staged migration model. • Other Services - We also offer Office 365 advanced threat protection and security services, SharePoint online walk through so that customers can derive maximum benefits, and OneDrive for business explanation and support. We are also an Identity solutions provider (Cloud identity, DirSync/Password Sync, Federated identities).